Posted byDr Damon Ashworth	 October 24, 2017 February 25, 2018 2 Comments on How High is Your Physical Intelligence? Physical intelligence is concerned with how different elements of our environment interact with our senses to influence or distort our perceptions, judgments, and emotions, which then affect our behaviours. In her excellent book ‘Sensation’, Thalma Lobel has neatly summarised all of the important findings that have accumulated so far in the emerging field of physical intelligence, or ’embodied cognition’. Like emotional intelligence, physical intelligence appears to be something that can be developed and improved over time. It firstly requires an understanding of the biases inherent in the interaction between our sensory-motor experiences and the physical environment. It then needs an excellent present moment awareness of these biases so that our judgment and actions are adaptive rather than reactive. Q: Should you offer someone a warm or a cold drink when you first meet them if you are trying to make a good first impression? In 2008, Williams and Bargh recruited 41 students at Yale and had the experimenter ask half of them to hold a hot cup of coffee for them on the way to the laboratory so that they could ask them a few questions and write down the responses on a clipboard. The other participants were asked to hold an iced coffee for comparison. They then went to the lab and were all given the same description of a fictitious person and asked to rate this person on a list of additional traits that weren’t included in the report. Participants who held the hot cup of coffee, even for a few seconds, rated the fictitious person as significantly more generous and caring than those who held the ice coffee, even though the participants were not even aware that the cup holding was part of the experiment. Subsequent studies have supported this finding in showing that giving someone a physically warm drink contributes to them perceiving you or others to be emotionally warmer, which would usually lead to a better first impression. Q: Can being treated ‘coldly’ by others lead to a room actually feeling colder? Interestingly, our perception of temperature can change depending on how we are treated or what we are thinking about. When we are treated kindly by others, room temperature is typically reported to be higher than it actually is. Conversely, even thinking of an incident of social exclusion led to the same room being perceived as 2.6 degrees cooler than a group that was asked to consider of an occurrence of social inclusion (21.4 degrees vs 24 degrees). The way to mitigate this and the feeling of pain that someone experiences following social exclusion? A warm object or drink. Q: Do secrets physically weigh us down? In 2003, Profitt and colleagues discovered that when we are carrying a heavy weight, we perceive a hill to be steeper and the distance of something to be further than if we are unencumbered by any weight. Seems pretty straightforward, seeing that carrying a heavy backpack would require more effort, and our brain wouldn’t want us to take it as far so that it could conserve energy. Interestingly, Slepian and colleagues took this a step further in 2012 and found that carrying or thinking about a big secret can lead to similar findings as carrying something heavier. By instructing participants to think about a meaningful personal secret, they too perceived a hill to be steeper, and overshot a target with a beanbag (because they perceived the target to be further away), in comparison to a control group that was instructed to think about something trivial. So yes, secrets can literally weigh us down and make us feel like everything requires more energy and effort, especially physical tasks like climbing the stairs with groceries or helping someone to move house. If we want to reduce the physical burden that secrets have on us, we need to express them and get them “off our shoulders”. Research shows that writing about traumatic experiences or sharing things that we are ashamed of with others that we trust (or a professional such as a psychologist) really does unburden us and make us feel lighter and better going forward. Q: If your opening a new office or business, do you get the trendy but hard chairs or the traditional but soft chairs? The texture of materials matter. Soft or fluffy texture often helps people to relax more, be more flexible and feel more comfortable, whereas hard, rough or uncomfortable textures lead people to feel more tense, rigid or uptight. Wooden, plastic or metal chairs may look great in a new restaurant, but may not be so good if it leads to the waiting staff being interpreted as less friendly. Even if the soft and comfy chairs are more expensive, the long-term benefits are likely to be worth it, especially with all of the internet reviews these days. It may just be the difference between a 4-star and a 5-star review. There are situations where you may want to be ‘hard’, such as a lawyer who needs to be assertive and firm to negotiate a tough deal. If that’s the case, bring out the impressively looking but terribly uncomfortable chairs. Also, turn up the air-conditioning, and offer them a glass of icy cold water (see #1). Q: Can the colour of a team’s uniform impact how many fouls referees call in a game of sport? Unfortunately, yes. In a 1988 study, Frank and Gilovich presented two identical videos of a football game to both college football fans and professional referees. In one video, the primary team wore a white uniform, and in the other video, the primary team wore a black uniform. The videos were otherwise identical. Both the fans and the refs were asked to comment on how aggressively the teams were playing and how many penalties they would award. The results were staggering, with the black team receiving significantly more fouls and being perceived as more aggressive by refs and fans alike, even though the only difference was the colour of the uniform. Q: What colour is best to wear to a job interview then? The colour that probably makes the most significant statement, particularly in the area of power and dominance, is red. It’s why Tiger Woods always used to wear red shirts on the final day of competition back when he was on top of the world and winning all of his majors. The colour red has been studied thoroughly and has been shown to significantly diminish performance and motivation in others when they see it. Red is also the colour that politicians wear when they want to appear strong and powerful. Research findings have linked red with a perception of higher status and success in males, and a higher attractiveness in females. Keep an eye out for the tie colour the next time you see a male politician in the media. When they want to seem kind and caring, they tend to wear baby blue, and on Election Day or when they want to display conviction or strength, it will be red. So if it’s a business or leadership or management interview, red or black is likely to be the best colour to wear. If it’s a role in a helping profession where a softer side is more desired, light blue or white may be better for an interview. Q: Who is more likely to lie – someone who is about to shower, or someone who has just finished? If you want to find out the truth from someone, don’t ask them straight after a shower. The person being questioned will find it much easier to stretch the truth when they are feeling clean, as they have a “clean conscience”. Just after a workout and before a shower they may feel sweaty, dirty or ‘unclean’, and therefore will find it less easy to tell a fib. Go for a run or to the gym or play sport together, and then ask away. Q: What about willingness to help others – someone who has just washed their hands, or someone who hasn’t? In 2006, Zhong and Liljenquist instructed student participants to recall an unethical deed in writing. Half of the group were told to use an antiseptic wipe to clean their hands after typing their act on a computer, whereas the other group were not given the option to wash their hands. They were all then asked to volunteer by participating in another student’s research project without receiving any compensation. An extra 33 percent of participants in the no cleansing group agreed to volunteer for the additional study than in the group who cleaned their hands with the wipe (74% compared to 41%). Follow-up studies also found a higher tolerance of other dubious acts, including cheating, following any actions that led to people feeling cleaner. The more that an individual feels that their physical slate is clean, the greater room they have to accommodate for things that feel morally dirty. Q: How can our physical space be utilised to feel more confident or powerful? If you want to feel more confident, try power posing. Stand over a table with both of your hands pressed down for one minute, or lean back in a chair with your legs up and hands back behind your head. Both have been shown to increase testosterone, which can lead to greater feelings of power, confidence and assertiveness. Be careful of how you hold yourself in your space too. Arms crossed, shoulders hunched or head lowered indicate less confidence or friendliness, whereas standing up straight with an open posture and appropriate eye contact often represents someone who is welcoming and comfortable in their own space. Q: What are some easy ways to become more creative? Get a box, and put it next to you while you are brainstorming ideas. It will help you think more abstractly by “thinking outside the box” on a physical level. Do everything with your opposite hand. You will be forced to pay more attention, and it will make you think about things differently. Engage in your morning routine backwards. Get out into nature, or look at a picture of nature. Keep a cluttered or semi-cluttered desk. An environment that is too clean actually stifles creativity. Work in an environment of approximately 70 decibels. This is the same volume that you would typically find in a local coffee shop, which is why some writers prefer to do their work there (I previously thought that they just wanted to look trendy). If you want to come up with opposing ideas, or reasons why you shouldn’t do something, place the left-hand up high in the air, and say “on the one hand…”, then raise the right hand and lower the left hand and say “then on the other.” It may seem silly, but doing this physically actually does help us to think of more opposing points. Physical intelligence, or embodied cognition, is all about how metaphors and abstract concepts are grounded in and related to our physical experiences. We first learn how to interact with our world on a non-verbal, physical and sensory level before we develop an understanding on a verbal level of language and metaphor, which continues to become more developed and nuanced as we age. The language skills that we accumulate are built on top of and utilise our previous sensory and physical experiences and are therefore closely interlinked. It is why the same areas of the brain will light up in neuroimaging studies when we see the sentence “I had a rough day” as when we are touching a rough object. A different and unrelated area will light up when we see the sentence “I had a bad day” as to when we are touching a rough object, even though the two sentences (bad vs rough) have similar meanings. Although some metaphors might now seem outdated, if they are things that most people had learned at some point when they were younger, they can be used to our advantage, depending on what we want to achieve. Whether you want to be warmer, more trustworthy, flexible, powerful, confident or creative, we can utilise our physical intelligence to change our feelings, perceptions, and behaviours, and influence how others perceive us and react to us too. Very interesting read. I appreciate learning something new that I can use in the real world! 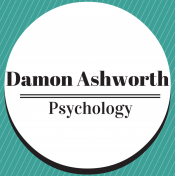 Fascinating piece on physical intelligence by Dr. Damon Ashworth at Damon Ashworth Psychology.